Designed a poster announcing the 2013 Will Eisner Spring Lecture featuring cartoonist Scott McCloud using his artwork. 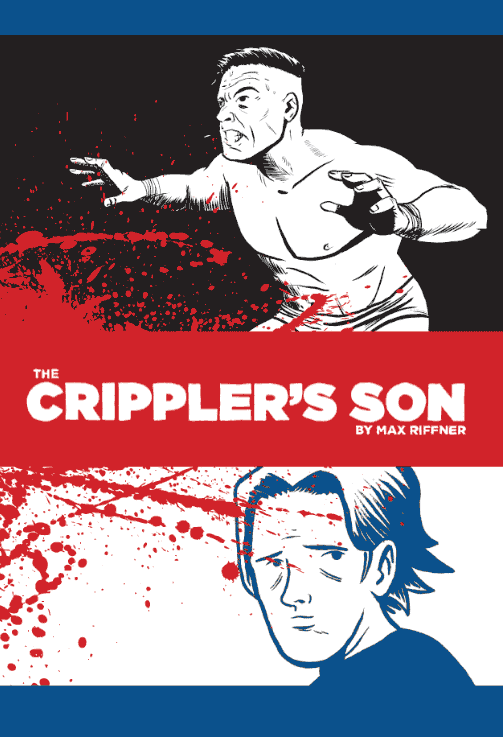 Buy my latest comic, The Crippler's Son released by Fantagraphics! Love, professional wrestling, and family secrets are revealed as two brothers try to reconnect. My name is Max Riffner and I'm a cartoonist, designer and illustrator. Hailing from the Midwest, I have 20 years of creative experience. I am currently the creative director at B² Interactive. © Copyright 1996-2019 Max Riffner. All Rights Reserved.